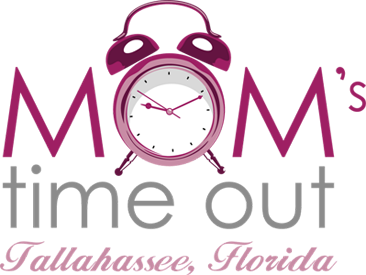 Mom's Time Out seeks to provide unique events to promote moms, motherhood, and the Tallahassee community by showcasing local mom-run businesses. Please help us get the word out! 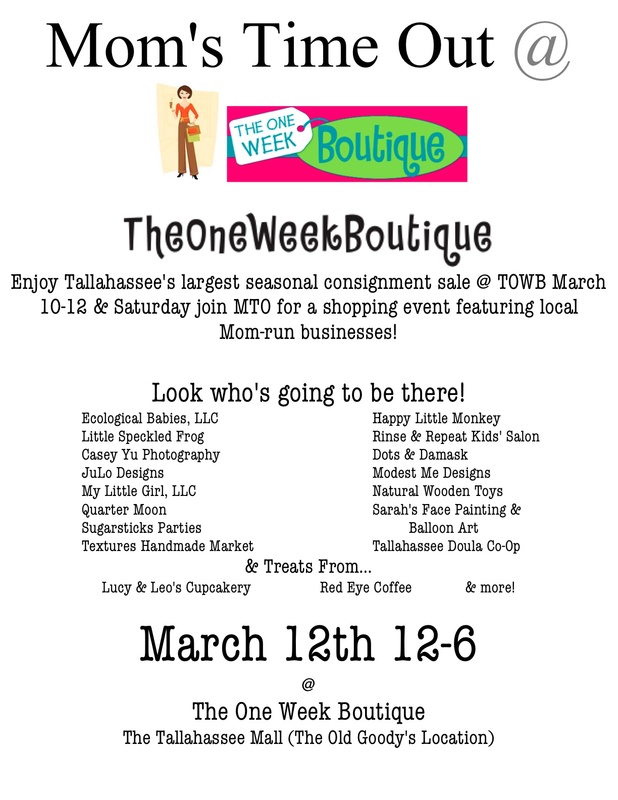 Download, print, and distribute this flyer wherever you think people would like to see it! Thanks for your help! What is Mom's Time Out? 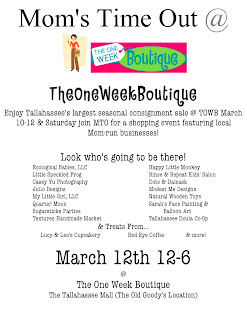 MTO promotes collaboration between local and mom-run businesses. Moms are busy people. We want to support each other, but our lack of time sometimes forces us to just do what is easiest. By working together, we hope to make it easier to find local moms in business! Do you like to collaborate with others? Do you have a local business you want to share? Are you willing to share information on other local resources too? If so, come, take a time out with us! Mom's Time Out on Moms Like Me! June 4th Summer Festival - Vendors Announced! Why Join Mom’s Time Out?